All of life is dependent on the ocean's health, as it is responsible for producing over half of the atmosphere's oxygen and absorbing substantial amounts of carbon dioxide. Unfortunately, human activities are harming the ocean that sustains us. With billions of people dependent on our oceans for survival, doing everything we can do to save them is crucial. Perhaps the most important of all. Plastic makes up an estimated 90 percent of all trash floating on the surface of the ocean, earning it a slot as one of the biggest pollution contributors. As it takes hundreds of years for plastic to decompose, currents have gathered a lot of this material into floating patches of garbage. The largest of these plastic flotillas is known as the Great Pacific Garbage Patch, located in the North Pacific Ocean, stretching across about eight million square kilometers. Much of it is in tiny pieces, contributing to habitat destruction as well as entangling and killing tens of thousands of marine animals every year. As the U.S. Environmental Protection Agency (a federal agency that protects and advocates human and environmental health) reports just nine percent of all plastic waste generated in 2012 was recovered for recycling. 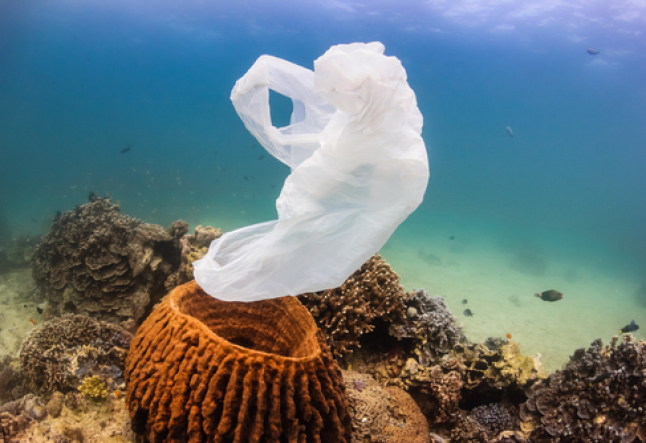 Reducing plastic pollution by bringing your own reusable bags to the grocery store, carrying reusable water bottles and refusing other single-use plastics such as tableware and cups is just one way you can help save the ocean. Furthermore, reusable water bottles can have a positive impact on your personal health as well. Hard plastics contain a chemical called BPA, which has been linked to several diseases including cancer. Regardless of some lenient state laws, any person who operates a watercraft is urged to complete a boating safety course and obtain a boat license to ensure they’re up-to-date on regulations as well as sustainable practices aboard like barnacle removal, waste disposal and pollution control. In many areas, this is also a legal responsibility which means being aware of current regulations could also save you from being fined. Even if you don't live near the coast, water and everything else that goes down your drain and sewer system can eventually end up in the ocean, including toxic household cleaners and lawn pesticides. Use natural cleaning options such as organic products or a vinegar solution in the home, and utilize beneficial insects like ladybugs to control unwanted pests in your yard instead of pesticides as much as possible. Cutting back on fuel consumption can help curb ocean pollution and save you some cash too. Consider alternatives to driving your vehicle, such as walking, biking, ride sharing, and public transportation. One simple act, such as using a tire gauge to make sure your tires are inflated properly, can improve gas mileage by up to 3.3 percent according to the U.S. Department of Energy, reducing the amount of fuel you use. In 2013, two middle school-aged girls in Bali started a campaign called Bye Bye Plastic Bags with a goal of creating a law to forbid the use, sale and production of plastic bags on the island of Bali. Support this effort by signing the petition here.